The aegis amulet is topped by the head of a lioness goddess, either Bastet or Tefnut, crowned with a solar disk and uraeus. The amulet is pierced from side to side at the top. 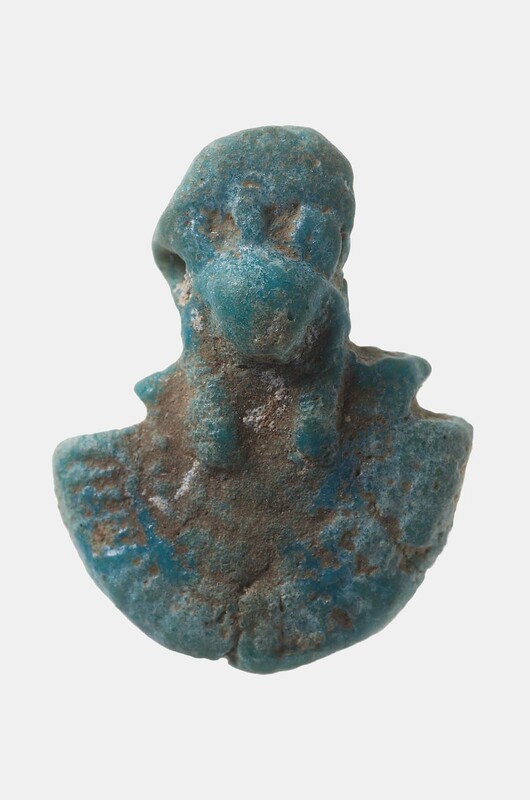 Amulets of this type were intended to offer protection to the wearer and avert potential dangers. From Egypt, Giza, rock-cut tomb G 7818, debris.1931: excavated by the Harvard University–Boston Museum of Fine Arts Expedition; assigned to the MFA in the division of finds by the government of Egypt.